Tickets to a stage production like this one pressed my recall button. Recently I wore a jacket I hadn't used for a while. I was standing in a shop later that morning and went to pull out my wallet from the inside pocket. As I did I felt some papers, and took them out. They were two tickets to a musical I had attended in London's West End earlier. 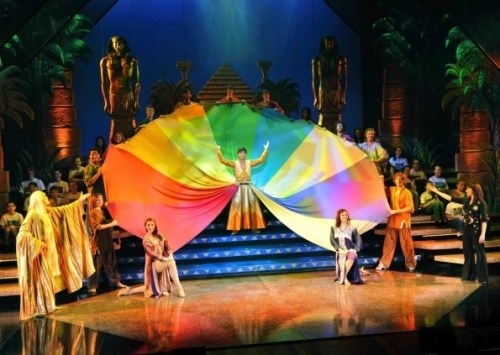 My wife and I were in Britain, and saw "Joseph And The Amazing Technicolor Dream Coat" with my son and partner. And this was the first time I had worn the jacket since then. Immediately the memories of the show came flooding back. I could visualize every moment of that evening, from the dinner in the restaurant round the corner, the warm summer evening, to the show - sitting in the front row high above the stage... the songs, the vivid color, the audience's cheers. It's amazing how much strength some objects like those simple tickets have to move you... to return you to that moment in time. You can apply this memory-tickler principle to the lottery to keep yourself enthusiastic and active. In fact, it's an almost automatic way to strengthen any quality you need to achieve what you desire. Before I was lotto-rich many years back, I bought myself such a memory device... a watch. Not any watch, but one that I knew would represent the future life I was going to have. I chose an expensive but conservative design. People who know quality recognize it, like a secret handshake. When I looked at this watch many times a day, it would remind me of the life I would eventually lead when my winnings came through. And it worked, beyond belief. My winnings increased, the power I used to attract goodwill and luck to me grew, and as I shared my good fortune through my lottery system - others came to share my good times as well. You need a physical reminder like this to keep you motivated and focused. Many physical objects have the power to influence you beyond your normal abilities. All it took was a glance at the tickets from my jacket pocket, and I added a new dimension to the day that gave me a warm buzz for the rest of the morning. Buy and use something like a watch, a keyring, a framed photo on your wall to remind you constantly how you are going to win the lottery. It will make a big difference in your lotto life!